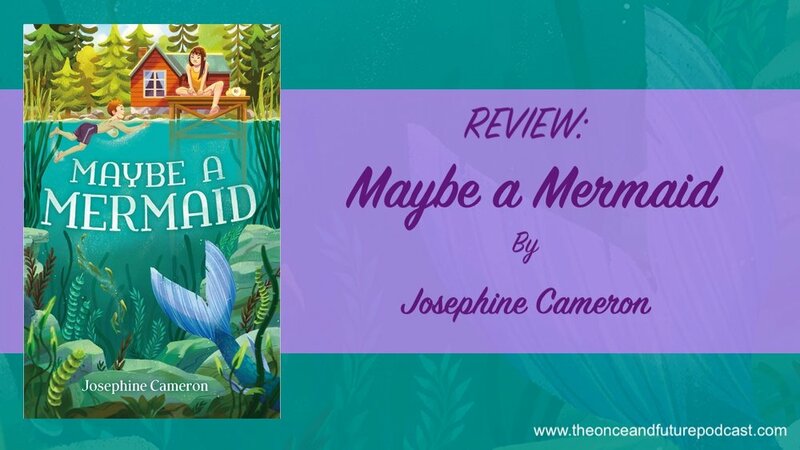 Maybe a Mermaid is a middle grade novel by debut author Josephine Cameron. I admit, one of the reasons I picked the book up was for the great cover art by Maike Plenzke. Another reason was…well, hello—MERMAIDS? This story is about a girl named Anthoni Gillis, an eleven year-old who has been on the move for much of her life, which has prevented her from making strong friendships. Why has she been moving so much? Well, her mother sells beauty supplies, kind of like a fictional Avon or Mary Kay, and she goes where the customers, sales, and connections are. Anthoni loves comics, which made her a fast sympathetic character for me. One day, after school is out for the year, Anthoni’s mother packs the two of them up and they go to a place from the mother’s childhood: the Showboat Resort. Things aren’t exactly as the mother remembered them, however. In fact, there is a lot that doesn’t quite meet the eye in this place. Be that as it may, Anthoni is determined that this is the summer she’s going to do it: She’s going to find a “true blue” friend. This is a friend that’s beyond a best friend. And she has a plan for how to do it. Of course, as we all know, the best laid plans seldom happen as expected, and it’s no different in this story. Readers quickly become sympathetic to Anthoni’s plight. It’s very easy to see how lonely her life must be, and we can see that she’s a likable person who just hasn’t had a chance to make many friends. And friendship is indeed the running theme of the book. Anthoni makes friends where she least expects it, but of course, she is laser focused on finding that one special friend above all others. I really felt for her, and remembered that time when I was younger where I might have felt the same way she did. Of course, because she doesn’t recognize that maybe what she’s looking for is right in front of her all along, she risks losing everything. This is a fantastic book for readers around 4-6th grade, that time when kids are starting to grow up just a little and finding friends are SO important. Josephine Cameron has really captured the complications that come with new friends and the pressures and hopes and disappointments. I laughed while reading this, but I also got a bit teary toward the end. This book is, honestly, nothing short of pure magic. It captures the experience of childhood summer friendship perfectly. But, I hear you asking, are there mermaids in it? Maaaayyyyyyybe. But you’ll have to read the book to find out! 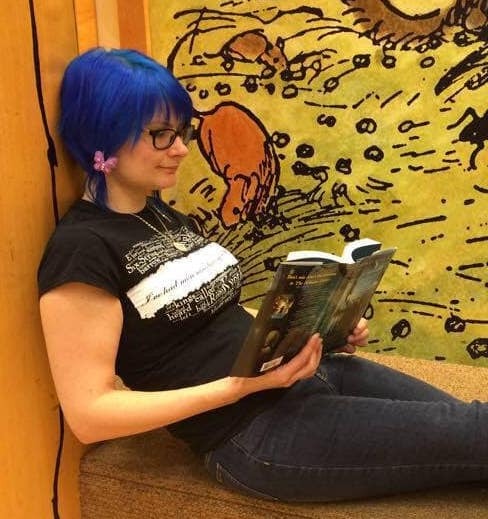 Melanie R. Meadors is an author of middle grade fantasy, a role playing game designer/editor, and a blogger with The Once and Future Podcast and GeekMom. She also loves science, sewing, music, comics, DMs for a couple of gaming groups…In other words, she is a professional nerd. You can learn more about her at her website.